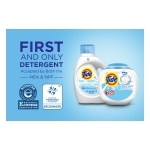 "As a dermatologist, I provide my patients with laundry recommendations that are proven to be mild on skin"
CINCINNATI--(BUSINESS WIRE)--Tide Free and Gentle Liquid Laundry Detergent and Tide PODS® Free and Gentle Laundry Detergent are the first laundry detergent products to receive both the National Psoriasis Foundation (NPF) Seal of Recognition and National Eczema Association (NEA) Seal of Acceptance™. The NPF’s Seal of Recognition highlights over-the-counter products that are recognized to help ease irritation for those living with psoriasis and psoriatic arthritis or those with sensitive skin or limited mobility. 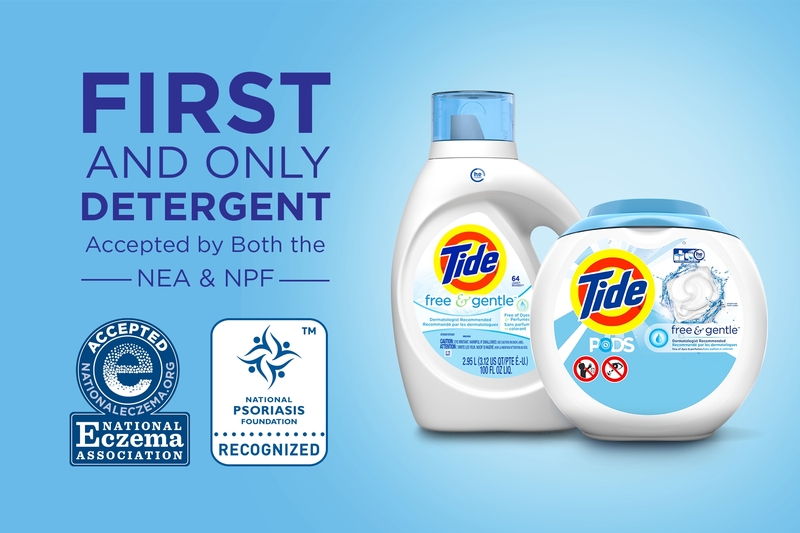 The NEA has also provided Tide Free & Gentle with the Seal of Acceptance™ that recognizes products that are suitable for people with eczema or sensitive skin. Tide is proud to have met the rigorous qualification process for these seals and to deliver the clean people can expect from Tide while being gentle on sensitive skin. The National Eczema Association (NEA) is a non-profit 501(c) (3) organization whose mission is to improve the health and quality of life for individuals with eczema through research, support, and education. NEA was founded in 1988 by a group of patients, medical professionals, and parents who decided they could do something more to make living with this skin disease a great deal easier. As the sole patient advocacy organization serving people with eczema, NEA is active year-round to promote eczema awareness and address issues critical to patient care. For more information about the National Psoriasis Foundation Seal of Recognition, visit www.psoriasis.org/seal.